Good Morning Ladies and Gents, just a very brief post to let you know that P&O have a “special sale”on this week only for the cruise that we are running to Moreton Island for Valentines Day, and for the Red Hat Society and Friends Getaway. The current specials may save you up to AU$100 per person in a twin share cabin, and are available for 3 days only (29 September to 01 October 2014), so if you haven’t booked in then now is a great time to do so! It should be noted that any bookings made on this special will require instant payment – so if you want to book and want to see at what price it can be done .. then please call us today! What a fantastic Travel Expo, over a dozen suppliers, 3 hours of steady visitors and some absolutely fantastic early birds, packages and deals. 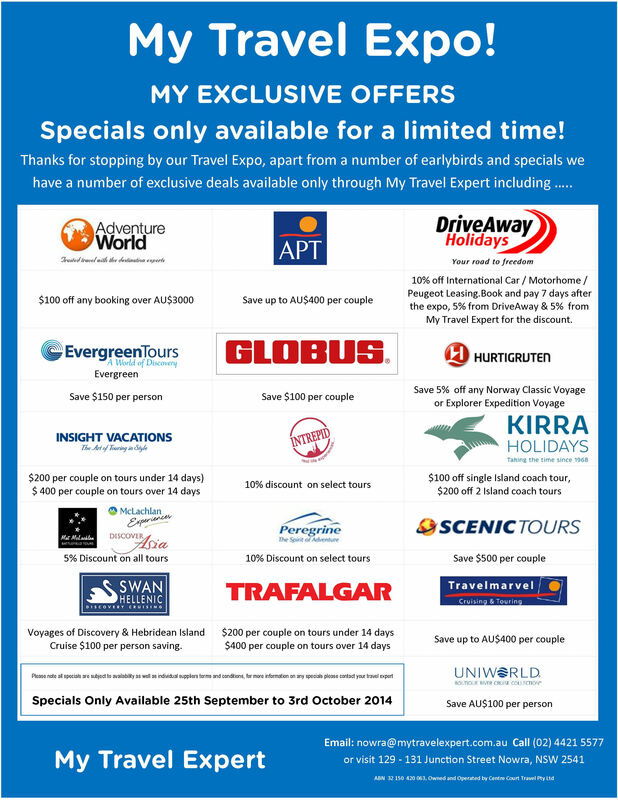 For those that are seeking a few exclusive deals here are some from our Expert connections available only to travellers jetting off with My Travel Expert that book within the next week! Are you an avid golfer? 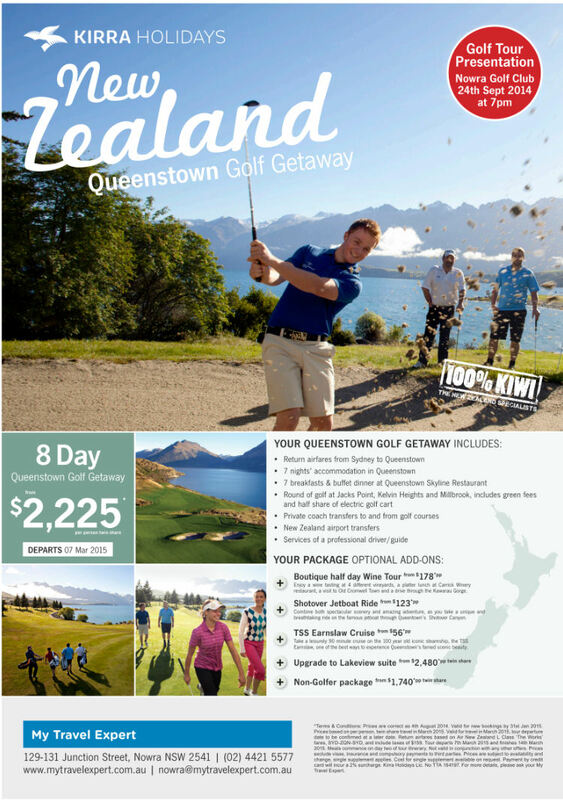 If you are interested on perhaps taking a swing on some of Queenstown’s best courses and possible looking to share accommodation with – give us a call we may have someone willing to share on the below getaway! We have been talking about the fantastic solo deals offered by Peregrine all over the globe – Asia, Europe Africa, and of course the Americas – not only Latin and South America but the USA and Canada, they have some truly fantastic specials available. Now if everything we have been talking about in regards to the deals Peregrine have on offer, then it is the perfect opportunity to drop by My Travel Expo and speak with the Peregrine Experts. 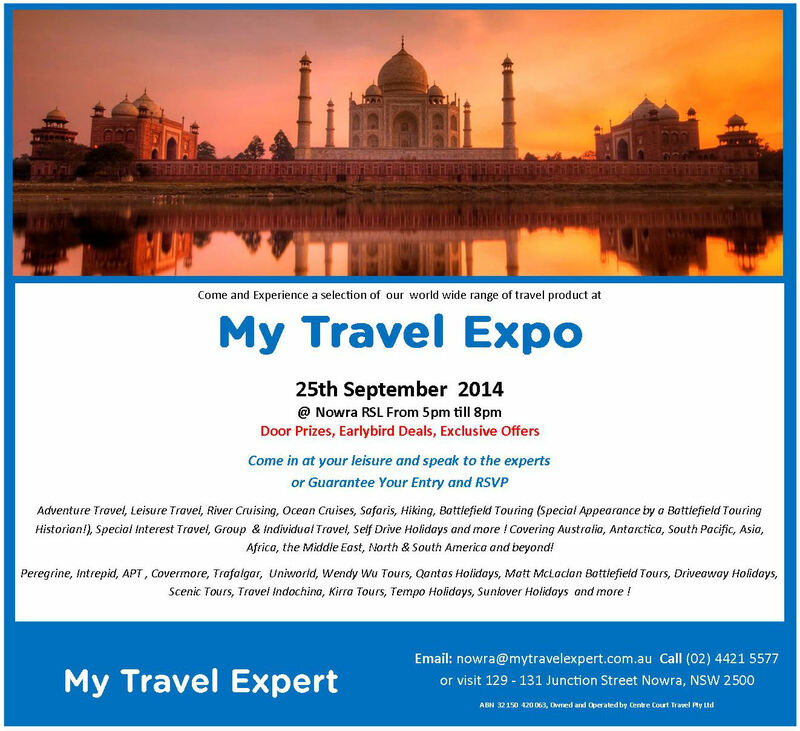 My Travel Expo will be held at the Nowra RSL on the 25th September 2014 from 5pm till 8pm. 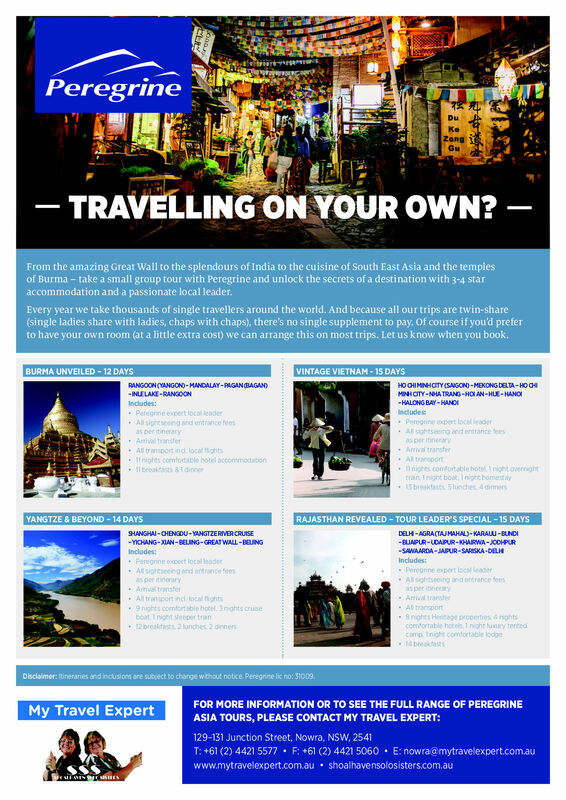 Peregrine as we have said has a fantastic range of product available for the single traveller, including Asia. 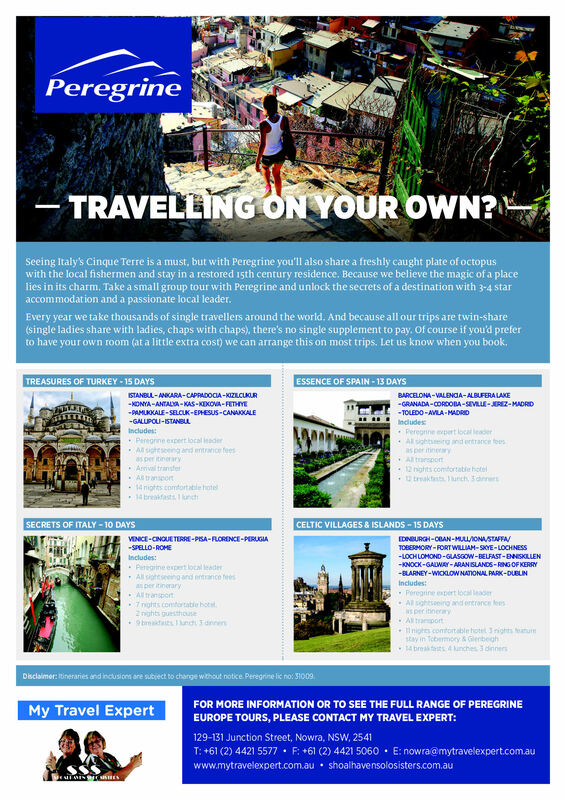 Myanmar, Thailand, India, Nepal, China, Vietnam, Cambodia, Laos and more – they have an incredible product range, and as discussed for solo travellers they can match you up with other singles on their tours, and if they don’t in many cases (but not all) they do not charge a single supplement! For those that live in the Shoalhaven and surrounds, we have a brief reminder that on the 25th September 2014 we are hosting our Travel Expo at the Nowra RSL from 5pm till 8pm. 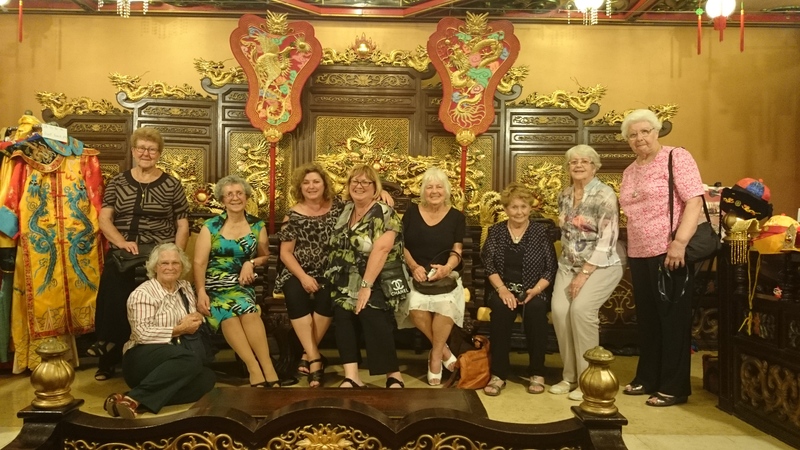 We have over twenty of our travel partners coming to join us including some who have fantastic single travel options – including Peregrine and Wendy Wu Tours. So if you live nearby and have the time .. why not drop by to see what is happening. We will have exclusive offers and deals available on the night and for the following 7 days – so if you are considering getting away this is a great opportunity to take advantage of a number of offers! Just expanding on our last post about Peregrine, and reminding you that they have a number of fantastic programmes out there for the single traveller where they will attempt to share you up with a stranger – and in most (but not all) cases waive the single supplement if they are unable to find you a room-mate. 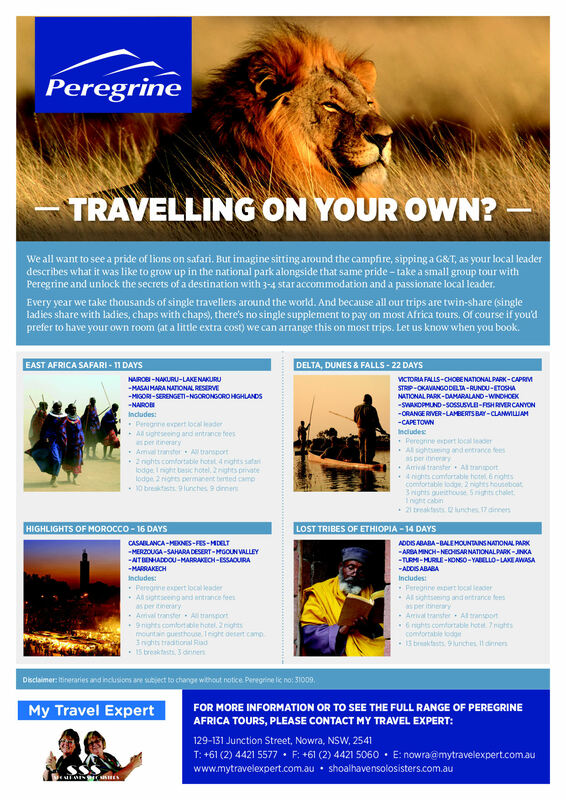 One of the areas that they handle well is Africa covering the regular tourist routes in the South and East Africa as well those a bit more off the beaten track including Ethiopia, West Africa and the North African Coastline including Algeria, Egypt and Morocco. My Hong Kong Experience – A Quick Visual Review! Just a quick update to say that we still have a few spaces available on our Canada and Alaska departure – though our seating availability is starting to diminish. So if you would like to see some of the highlights of the Rocky Mountains such as the Wine Region of Kelowna in the Okanagan Valley (pictured above), or some of the scenic seaside towns of the inside passage such as Ketchikan. So if you are still trying to decide if you want to go, take a peek at the below Rocky Mountaineer video, read up on the tour details here, and then get in touch with us to find out more or book yourself aboard! We spoke a little while ago about how great it is that Travel Indochina has a “Share with Stranger” policy on their tours. Another company that does something similar is Peregrine .. who also have a match up policy on all of their departures. 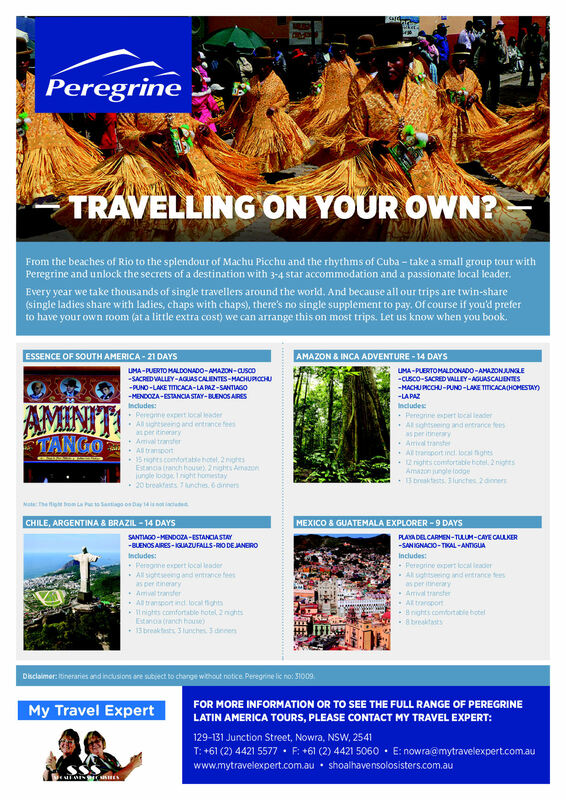 With many of those departures they will try and match you up with a like-minded traveller, and if they are unable to on most tours they will still get you away without a single supplement – though some may still require a small additional payment. Unlike Travel Indochina the great thing about Peregrine is that their reach extends beyond Asia with tours available in Europe, Africa, South America, and North America .. so if you are a single traveller looking for a fantastic trip to a destination with a lot to offer, and with enough free time compared to group touring time then Peregrine may have the option for you!